LAN stands for Local Area Network, which is a collection of computers and other network devices in a certain location that are connected together by switches and/or routers that facilitate the communication of the network elements. Each computer or network element is connected to the switches/routers via a UTP cable. The added letter in WLAN stands for wireless. This is a type of network where the data is not transmitted via cables but over the air through the use of wireless transmitters and receivers. WLANs are deployed in areas where a wide number of computers may connect to the network but not at the same time. Places like coffee shops often add WLAN to their shops to entice more customers who do not stay for extended periods. Even at home where you have a somewhat fixed number of computers that connect to the network, WLAN is also preferred as it gives users the freedom to move around the house and carry their laptops with them without needing to fuss with cables. For areas where the computers are pretty much fixed, a wired LAN is very desirable due to the advantages that it offers. First off, a wired LAN is much faster compared to a WLAN. Most wireless routers nowadays are limited to a theoretical maximum speed of 54mbps while a contemporary wired LAN has a bandwidth of 100mbps. Gigabit network equipment can even ramp this up to 1000mbps or 1Gbps. This might not be such a big issue for browsing the internet or sending email but when you are copying large files, it can take a while with a WLAN. WLANs are also vulnerable to attack as just about anyone with a strong enough transceiver is able to detect the signal. Access can then be achieved by breaking the encryption used by the router through certain software. The information that is being transmitted through the WLAN can also be collected by malicious person and used in a variety, often destructive, ways. In order to intercept data in a wired LAN, you need to physically connect to a switch or a router. 1. LAN refers to a wired network while WLAN is used to refer to a wireless network. 2. LAN is commonly used in fixed networks while WLAN is common in areas where computers are moved quite often. 3. WLAN is more convenient to users compared to LAN. 4. LAN is much faster compared to WLAN. 5. LAN is more secure compared to WLAN. Ben Joan. "Difference Between WLAN and LAN." DifferenceBetween.net. 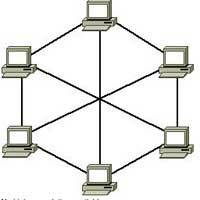 July 27, 2011 < http://www.differencebetween.net/technology/difference-between-wlan-and-lan/ >. Nice work and excellent notes giving dofferences between LAN and WLAN. WLAN has its own benefits as many a times you need to move to a different room or need a separate space with internet access. WLAN is very beneficial at such times as you can move from here to there. WLAN is handier than LAN as with LAN there are tangled of wires. There are a lot of Wi-Fi equipped devices coming in the market. With IoT devices you need wireless connections in homes.